Nikon EDG Fieldscope Eyepieces are special order and take 90 days to arrive. 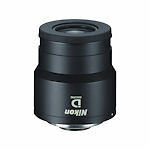 Nikon makes a variety of eyepieces specifically for the Fieldscopes. 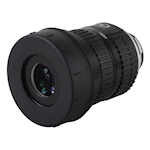 The Fieldscope eyepiece series is comprised of fixed focal length, wide-angle, zoom, and digiscoping lenses. All are fully multi-coated and have adjustable, twist-out eyecups. 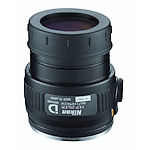 Nikon Monarch spotting scopes have 3 available eyepieces: 38x/30x (82mm/60mm), 20-60x/16-48x, and 30-60x/24-48x. 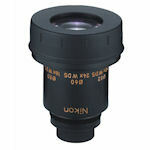 The Nikon ProStaff eyepieces fit all Nikon ProStaff spotting scopes. The lower numbers apply to the 60mm scope bodies and the higher number apply to the 80mm bodies.